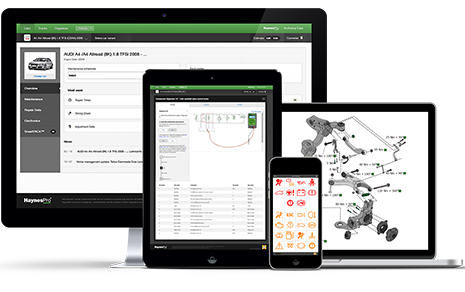 From the moment it was founded in 1995, HaynesPro, formerly known as Vivid Automotive Data & Media BV, has focused on delivering automotive technical data in an electronic format to the European automotive aftermarket. Since 2008, this data has resided in the HaynesPro WorkshopData database, in integrated solutions distributed to customers via data exchange services. Today, our customers and partners provide our automotive technical data to a variety of users through online solutions. 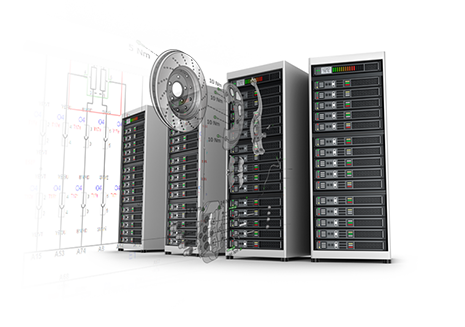 Data exchange services, in combination with our extensive automotive technical database, allow our customers and partners to build bespoke solutions and create value for their specific users. We also provide a stand-alone application with a modern and intuitive user interface. It is designed to be used on desktops and tablet computers, and is presented in such a way that mechanics find it very easy to work with. The design allows us to customise the data and even utilise elements of it in specific solutions, such as diagnostic devices. These and other HaynesPro services help our customers realise their full potential. In fact, the potential of HaynesPro data is limited only by the imagination. In 2016 the Haynes Publishing Group acquired OATS Ltd, which is now run as part of HaynesPro under the stewardship of our Managing Director, Peter van der Galiën. 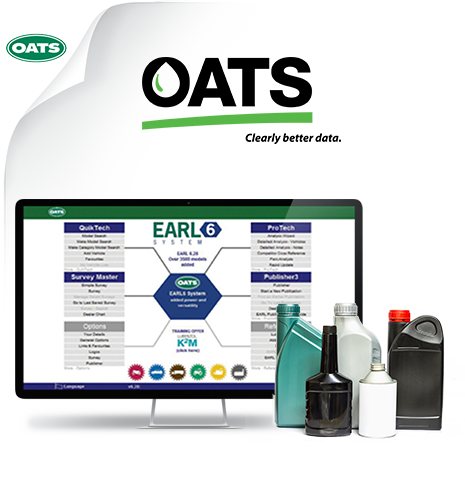 OATS has developed a comprehensive equipment and lubricants database that supports customers from across the lubricants marketing and supply chain. These customers range from original equipment manufacturers, oil companies and lubricant distributors to end users such as workshops, motor parts resellers and garages. HaynesPro is a member of the European Independent Automotive Data Publishers Association, in short ADPA. ADPA pursues the purpose to ensure fair access to automotive data and information and to provide competitive framework conditions for independent data publishers. This will allow the publishers to be able to design and provide competitive, innovative and multibrand products and services to operators of the automotive aftermarket to enable competitive choice to motoring consumers and businesses in the care of their vehicles. Following the Haynes Publishing Group’s corporate belief we at HaynesPro are committed to minimizing the impact our operations have on the environment. This starts with our local offices where we’ve greatly minimized our waste, emissions and power consumption. We believe that the digital products we make as a relatively small company have a large global impact due to these products being used by many companies and people around the world. Take for example our VESA and ProFIT products which superfluous the usage of paper. On a grand scale they are small changes that help make our world just a little bit better. In 2016 our HaynesPro data department was granted the ISO9001 certificate for outstanding quality management. ISO 9001 demonstrates our ability to consistently provide products and services that meet our customer and applicable statutory and regulatory requirements. It also aims to enhance customer satisfaction through the effective application of the system, including processes for improvement of the system and the assurance of conformity to customer and applicable statutory and regulatory requirements.